It's Doll Collecting Tips and Topics time! Hmmmm too long for such a subject, don't you think? We can probably trim that down in the future. Last time, in our part 1, we have asked our dear contributors what got them started with doll collecting, what their spending was like in the beginning, and whether they were doing extra work like research before they buy the doll. It was a fun discussion, and helpful, too. we are gonna get loads of nuggets of wisdom here! So sit tight, grab a snack and read on. See you at the bottom of the post! How many years have you been collecting (since day 1 of your adult-phase collecting)? DBG: I have been collecting dolls for 25 years. Vana: Twenty-five years now... *gosh* lol! GeorgiaGirl: I have been officially collecting since 1995. Stephanie: I started collecting full time in 1997.
jSarie: Eleven years, give or take. Phyllis: I have been collecting dolls for 18 years now! Eli: I got Natalia and Francisco in 2007. But I didn't really add to them for three years. I really started to collect when I was able to join the PNN group. Knowing people with the same interest in dolls made it easy for me to learn about the dolls I wanted to collect and how to go about getting them when they are not available locally. Eli's Francisco Leon is ready for summer! Robert: Officially, it's three years but if you would count the years when I was just buying and not taking collecting seriously, I would say 9 years hehe..
Stormie: From 2009 to 2016, that’s 7 years already! Leslie: Well, I suppose if we consider Poppy acquisition as my first adult collection choice (I bought her in 2010), so 6 years. But I had bought plenty of Barbie well before that time. I have always loved dolls and still redress/"play" and photograph them, so as I said before, I can't really draw a line between child-adult doll collecting -- just in when the price of the dolls I collected changed! Diadema: About 3 years and 3 months. Melan: It's only been 2 years and a half since I’ve been collecting. plan your budget now and way back when you were just starting? 1. From the scale of 1 to 10, how much do I like the doll? 2. Do I have enough money to buy it? Anika: Definitely. I try to limit myself on purchases now. If I want something new then I have to let go of something I have already. Stormie: Yes! Back when I started, I must admit that I was an impulsive buyer but now as we grow older, we already have priorities and Barbie always says: responsibilities and priorities first before fun! GeorgiaGirl: Yes! I do not get consumed with sets or limited and collector dolls anymore. I purchased dolls for various reasons. If I love her face, make up, body... yes body, I will purchase it with plans to sell the other parts. Like most, I have purchased several Made to Move Barbie dolls for their bodies. Kenya: Definitely. I started out buying primarily playline dolls, which are relatively affordable. I was like a kid in a candy store. 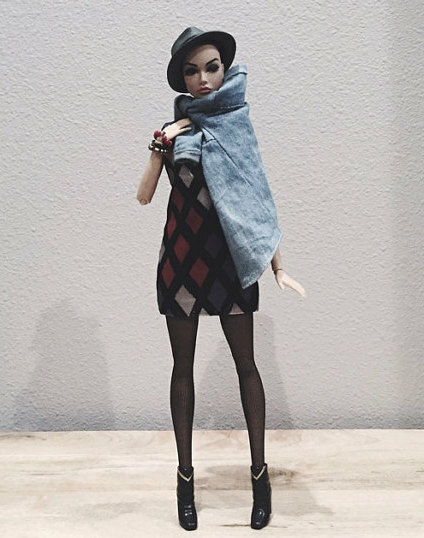 Fashion Royalty dolls however, forced me to grow up. There was a time when I just couldn’t see spending more than 50USD for a doll, let alone buying playsets, accessories and fashions. Oh my, how times have changed – LOL. Now, I’m more selective, as I now have to set money aside for pre-orders and such. Integrity dolls used to be so easy to buy eight years ago, now I have to enter lotteries and stalk dealers to get the ones I want. I consider it to be a form of emotional abuse. It’s a brilliant marketing strategy really. Kenya's latest awesome Poppy photo shoot! Leslie: Yes. Now I know I will love probably at least two Poppy's every year, so I try to save money before May of the new year to have money set aside for my doll purchases. I also learned I don't need every single one (that helps with budgeting!) If I need more for a surprise doll, I evaluate the ones I have to determine if my collection needs scaling down. 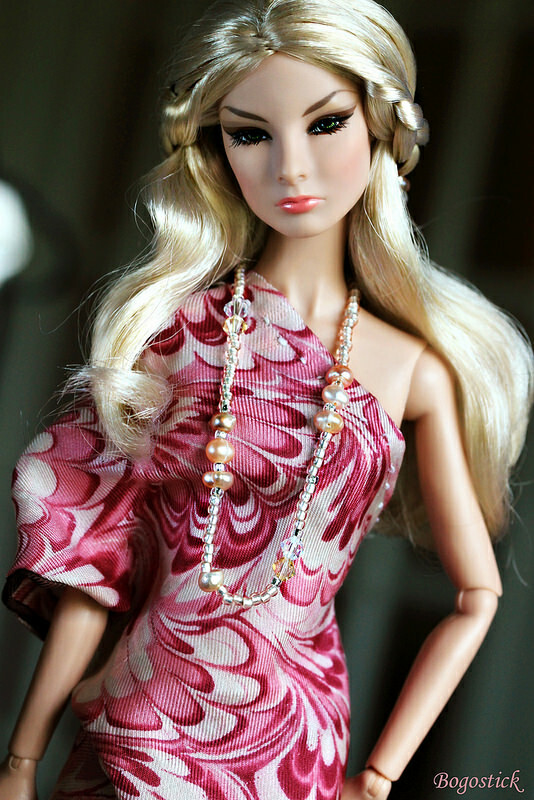 Stephanie: My budget has gotten bigger now that I don't collect Barbie and only collect Fashion Royalty dolls. I only buy the Fr collection and what w club has to offer. Ford: Well, I have a bigger budget now, haha! I think the yearly budget of FordModolls is around 60k PHP [about 1300USD] (roughly 5k PHP [about 108USD ] a month). I think I have most of the dolls I wanted, so most of my budget goes to clothes and accessories. I do a fashion shoot 4-5 times a year, so I need as many clothes as I can get. 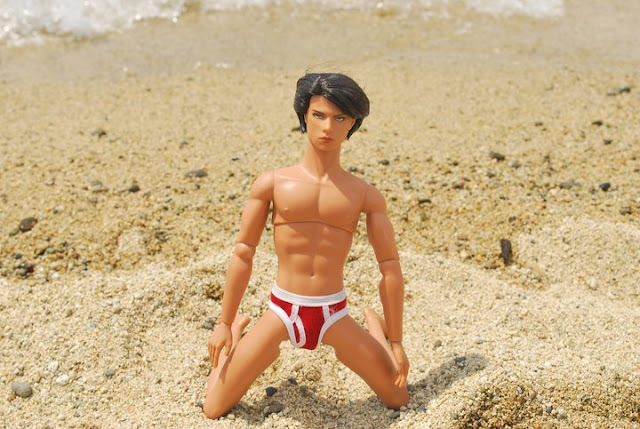 I now have male Modolls too, so I now need clothes for the boys. Melan: Now I really do extra budgeting. 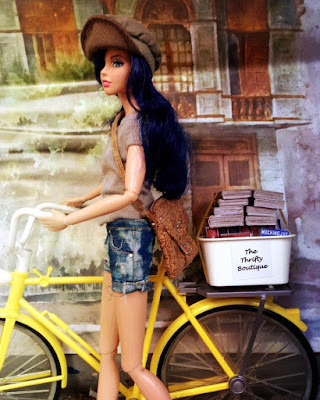 Since I stopped collecting Barbie dolls and switched to Integrity Toys, I always make sure to keep at least 1k PHP [about 22USD] every payday, for my doll, doll’s fashion and accessories alone. Michaela: Of course.. 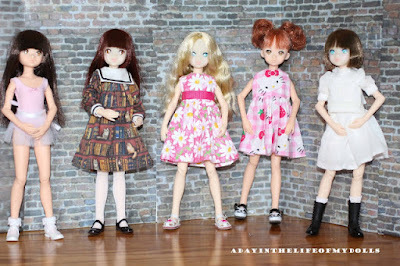 I adore the 16'' BJDs like Kingdom Doll and they cost about 700USD per doll so I always plan with them. And I have to buy different sizes of clothes and shoes to dress all my girls (and boys). Nick: I actually do not spend much on dolls, and more so on clothing and props for my skanky_dolls instagram page! Phyllis: Now, since I have retired, I am unable to spend as much money on dolls, so I am trying to establish a budget or at least curtail my spending. This has occurred in the last year. If I receive a large sum of money (say a tax refund, a stock payout or something similar), I had a tendency to binge buy. Now, I am being more selective and watch for sales. 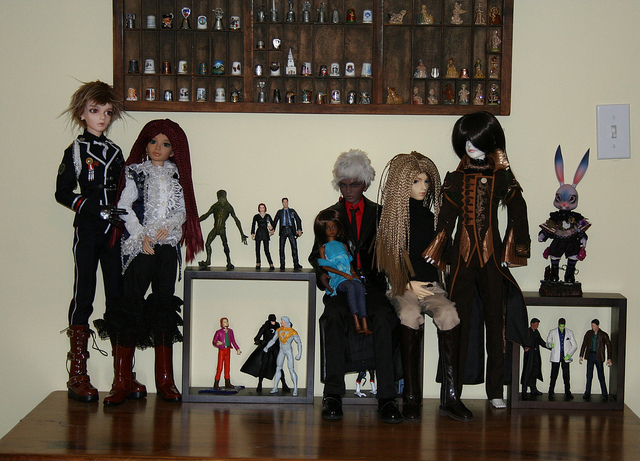 My collection is now quite large, so I have decided to focus more on dioramas, clothes and accessories for my dolls. jSarie: I'm actually trying to get back to moderation that I started with. In 2010, I started working from home - I did the math and I realized how much money I was saving by not taking the train in to work, not going out to coffee and lunch with coworkers, not having to buy office-worthy outfits, and so on. And having added it up, I decided to funnel that money into too many dolls (and mostly large BJDs at that). I eventually realized that that wasn't the best idea I've ever had, but not before I took my collection from a modest 3 BJDs (and 5 dolls total) to 20 BJDs and a pile of fashion dolls. I'm now trying to keep myself to no more than one large doll per year, and I try to keep the smaller ones in the single digits as well. DBG: I suppose not buying dolls or reducing the amount I currently purchase can be considered a budget. I have decided to downsize my collection and the only way I can achieve this goal is not add to it. Diadema: None. I was an impulse buyer before. I'm still an impulse buyer now!! Vana: No, not really. I never had a budget plan and I just buy dolls I like and not for having a complete series of a certain doll. For example, I always trusted my rationality to not overspend and for me it works fine that way. 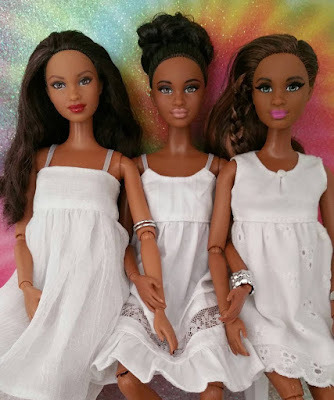 Due to the constantly growing community of dolls at my house, I became even more picky over the years and from year to year it's easier to resist buying all the dolls I like. ;) It's a serious goal for me, not to forget the dolls I have for years and to pay some attention to them regularly. To keep the number of dolls more or less constant at this point, my latest resolution is just to buy a new doll if another one goes to my for sale list. If there was any difference, what made you change your system? What do you think are the major factors that influence your way of allotting money for your doll collection? Vana -- Internet with its possibilities to buy dolls from all over the world changed my behavior massively. If I'd have had no other sources than the local stores offering playline Barbie's, I'm not sure if the joy would have lasted for so many years. The internet opened a new world. Not only I was able to purchase dolls from the USA, for example, I also found a doll community out there. Hey, I was not alone!! There were lots of other crazy people like me! ^^ The Internet also changed my collection from Barbie to Candi dolls and then to FR. I've sold most Barbie's and Candi's in between, just keeping a few ones with special "life stories". Eli: I guess there is. I am now more picky, this is mostly because I now have a better idea on what type of dolls I really like so I no longer just buy because I thought it looked pretty. Before buying something, I think about how it fits into my collection and my activities. I also have to be honest about how I react to certain things and my ability to take a good picture of the doll. Why do I have to ask myself that? Well, there was a time I got this doll and I loved her. But I was more used to dolls that weren't so fair or at least had dark hair. She was the opposite on both accounts and I couldn't take a decent picture of her. In the end, I had her adopted out. That experience is my basis for my most of my decisions. Ford: I think my taste in the quality and style of clothes have changed too. I noticed I seldom buy playline clothes now and rely mostly on doll designers and online sellers. Leslie: All of my dolls except for two or three have been taken out of their boxes for play or for photographing. Much like when I was a little girl with her dolls, if I haven't reached for a doll in some time, then I make the difficult choice to part with her. I re-evaluate my collection about every six months. Doing so helps me keep my dolls mostly in one place. To make that process easier, I would suggest trying to identify which dolls most speak to you. I've learned that dolls I prefer typically have hair that can be easily restyled. I also favor dolls with neutral, or soft makeup palettes. Evaluating a doll closely before ever reaching for my wallet has saved me a bit of money and space for those dolls I must keep. Someone once told me there is a difference between adoration and appreciation; I remember this when I first get excited about the prospect of a new doll. He/she might be mesmerizing, but maybe that particular doll isn't meant for me. Melan: Now i’m planning to slow down with collecting, since I’m focusing on doll photography. I will continue collecting fashion and accessories for my girls but will slow down having more dolls. GeorgiaGirl: I had to change the way that I was collecting because I was running out of space and my hobby was becoming overwhelming. I have toned down my spending a lot because I still have the space issue and plan to enjoy more of what I already have. Speaking of space, isn't this lovely? GeorgiaGirl's girls are gorgeous, too! jSarie: We made an international move in 2013, and having to itemize my doll collection for insurance and customs purposes forced me to think about what those dolls said about my general priorities - it made me a little uncomfortable to have given them so much weight (both in terms of space and budget). DBG: Downsizing my collection is what has driven me to establish doll buying limits. I have not established a monetary limit, just a new doll limit of no more than 2 or 3 (hopefully fewer to none) doll purchases in a month’s time. Phyllis: As my kids grew up, they started getting me dolls for my birthday, on Mother's day, etc. For a while, I went a little crazy. 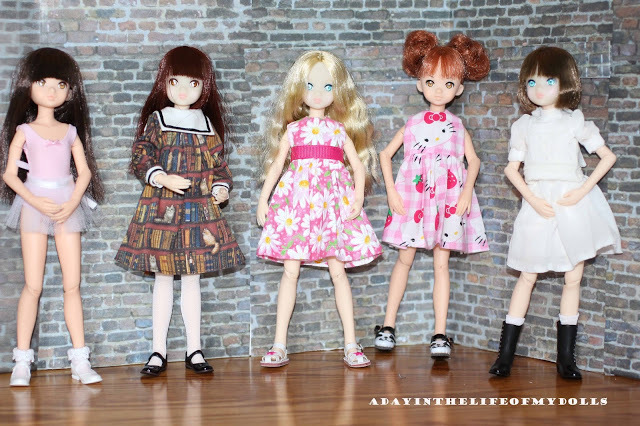 I think I got more into other types of dolls like Fashion Royalty, Momoko, Ruruko and that grew my spending. 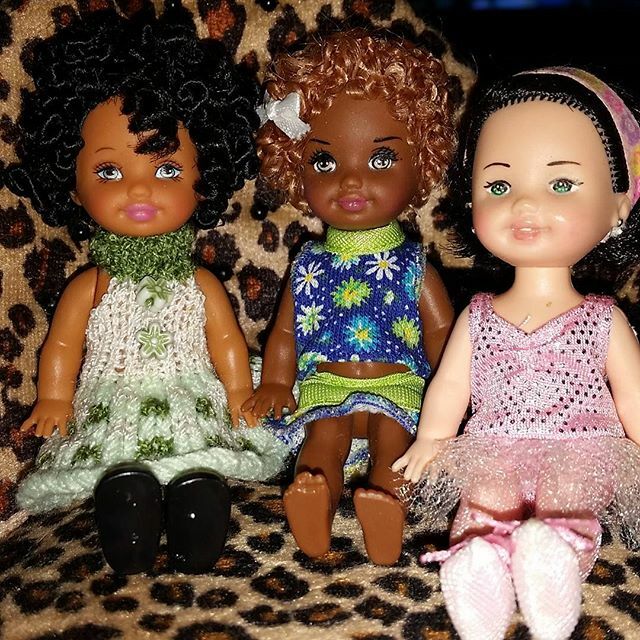 After being diagnosed with breast cancer in 2011, I think I used the dolls as a way to fill the void I felt. There is more on that story on my blog. Anika: The major factors were I was responsible for myself. I had bills to pay so I could no longer spend like crazy with no rhyme or reason. I also discovered the price difference between playline and collector dolls. I want more collector dolls which cost more money." Stephanie: The only thing that has changed for me is how I have to save. Diadema: I guess, the only difference is I became matured when it comes to buying doll stuff. I make it a point that I'm going to get my money's worth. Because before, I just bought things for the sake of buying without thinking if I could actually use them. Stormie: Time and watching the online hit series Barbie Life in the Dreamhouse. It was the major factor I stopped collecting Fashionistas because the last wave of articulated fashionistas were the rainbow wave and it took a year and a half to mass produce the line here in the Philippines so my love for fashionistas diverted to Barbie Life in the Dreamhouse dolls and when the series started, I didn’t buy any doll at all. 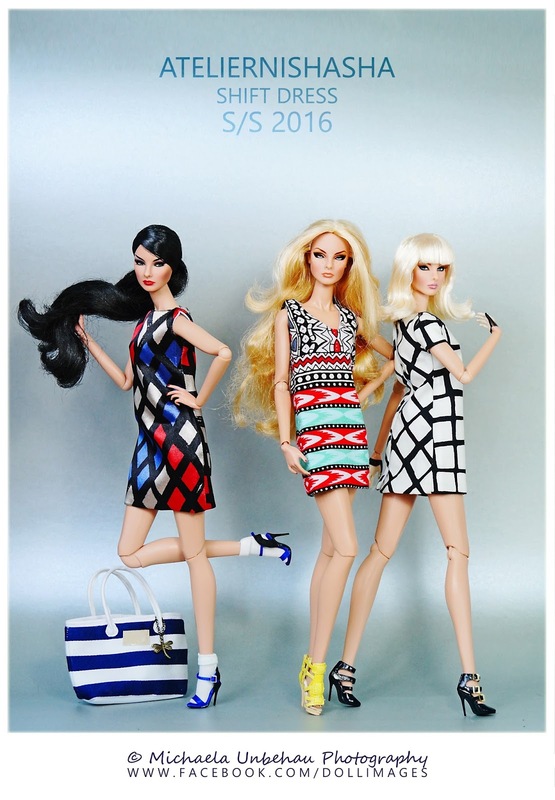 It was a year and a half again and finally, Mattel releases the BLITD dolls! But, it took another year again when the dolls finally arrived here in the Philippines. Years of waiting and saving money!" Kenya: Seeing the words “sold out” with some of my most coveted dolls forced me to buy memberships and check my email like a maniac. It was painful to miss out on the dolls I really wanted or couldn’t afford. My money allotment revolves around manufacturer release dates. I pretty much know how many girls I can afford at a time, so I can anticipate with better accuracy." What do you think are the benefits of budgeting for a collection? Michaela: The most important thing is to keep an overview of the finances. Leslie: You don't get in financial trouble! LOL. Truly, now that I know I do like more expensive dolls, I know to save, and I refuse to charge my dolls on a credit card--it's too easy to do and put the cost out of your mind. DBG: Establishing a budget provides control over spending and can also help control quantity and quality of dolls collected. Ford: Benefits of budgeting? It made more careful and very selective in buying items for my collection. Stephanie: The best thing about a budget for me now is I feel like I don't over spend anymore. Vana: To be sure to not overspend surely is a benefit of a budget. And it would help as well to keep a collection restricted. jSarie: I think it's good to have a solid handle on what you're spending, both to know what you can afford, and as a way of staying on top of what you have (and what's on your wishlist). Eli: Other than having more money for other things? It really helps with the clutter. Having a budget stops you from getting things that you won't really be using. Stormie: Simple, if you budget you’ll know your priorities! Anika: Now I see it as smart and peaceful. If you budget so much per what you really love you can get it/them. If you don't plan well then this whole process becomes very frustrating. 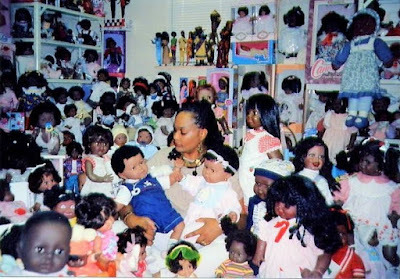 You knew certain dolls, or whatever you collect, are coming but you now have to stress out on how to pay for it if you go for it anyway. Nick: Doing something that makes you happy is always worth budgeting. Phyllis: As I look back on the value of my entire collection, I realized that I have probably gone overboard with my purchases. I think by establishing a budget, I won't feel so guilty about the money I spend! And now, since my income is more limited, I have to control my spending better. Enjoy what I have more, devote more time to my own creativity (like making furniture, building dios, etc.) And let myself have fun with it. Kenya: I haven’t exactly mastered this yet. I’m still a work in progress. Every time I say I won’t exceed a certain amount, a holy grail doll shows up on eBay, or the manufacturer releases more hits than misses. Would you advise a newbie collector to plan a budget? Other tips for the newbie regarding budgeting for a collection? DBG: Yes, I would advise a newbie collector to establish a monthly, quarterly, or yearly budget to control spending and to eliminate the impulse buying that many collectors find themselves doing and later regretting. Creating and maintaining a doll inventory to record info about each doll purchased to include costs will help track purchases and maintain budget. Eli: Yes, I would advise them to plan a budget. It will save them from regret later on or the hassle of reselling the items they bought. What really worked for me is knowing what I really wanted. This is not easy as a newbie. You usually don't know what you want in the beginning. This will come later. So my advise is to actively come up with a vision of what you want your collection to become. Have a theme. Another way could be to pair your collection with another activity. I pair mine with my doll photography, others pair their with their love for doll pageantry. This helps narrow down the focus of the collection. Stephanie: For a newbie yes if not, they will over spend trying to play catch up with people who been collecting for years. Ford: Buy only the things that you can afford...live within your means...really, how much do you have to spend to buy yourself happiness?... These are just some of the things I tell or ask myself whenever I buy dolls. I always try to make enjoyment as the focus of my collecting rather than buying what is in fashion or uso [fad]. jSarie: I would suggest that they think about balancing not just their financial budget but also their budgets of time and space. A mistake that I've made is buying project dolls that I had the money and space for, but not the time to actually finish - I've finally started selling a couple of those after having had them sitting around for 5 or 6 years waiting to be painted! And of course you don't want to have to sleep on the sofa because you ran out of storage space and have to keep the dolls on your bed, or skip dinner because you spent all your money on new outfits for your doll! Melan: My budgeting works for me and I can suggest that to the new collectors (see details from previous answers). Kenya: Yes, they should definitely budget. I wish them the best of luck in trying to stick to it, as i find that to be the hard part for me. I also find that a focus helps. Narrowing my focus helped my wallet quite a bit. I’m not as impulsive as I used to be. Michaela: I would recommend to report the costs, especially in the beginning you are so excited that you want to have quickly get as much dolls and props as you can get. This can easily tear a large hole in the budget. Nick: Yes! Always be smart when purchasing anything. I am the worst advocate for this, because once I come into any amount of money I immediately want to spend it. Phyllis: I do think it is a good idea to establish a budget. It can easily get out of hand. The budget may revolve around a specific dollar amount or around limiting the number of dolls you buy. Do what makes sense for you. Consider selling dolls and doll items to help support new purchases. Stormie: There are three things: 1. Save a lot – so you can buy whatever dolls you want. 2. Don’t impulse buy – think clearly what you want and if the doll you’ll buy have this bond to you. 3. Love what you already have and enjoy the little things – big or small collection as long as you love them all, you’ll have no regrets and always be happy! That’s most important! Happiness! Terri: So would I recommend a budget to a newbie? Absolutely!! But good luck sticking to it....LOL. the company), you have to cut back on your playline buying. Be selective especially if you collect more than one line of dolls. Ask yourself is this new doll better than one you have? If it isn't, leave it on the shelf. If it is, get it but make sure you let (or are ready) someone else go from your collection. Try to reel in the unnecessary spending. This hobby can break you if you let it. Don't let anyone ruin what you love. Be yourself and let your collection show who you are. These are the things i wish i had someone tell me when i started this journey. Diadema: I can't give any budgeting tips because I, myself don't know how. I can just give them some advise when it comes to buying , so that they can spend their money wisely. For the new collectors, I suggest to buy dolls according to your preference, not because another friend or collector says so. This is because buying something which you really don't like, is similar to wasting money. When it comes to doll stuff , especially clothing, always check on the sizes. As we all know, different doll types have different body measurements. And we don't want to spend money on some clothing that won't fit our dolls. And lastly, to refrain from buying a replacement body for your fave doll, never ever neglect them. Find time to clean them if they are being displayed or if they are kept in their boxes, check them up once in a while, especially during hot weather. And always store them without their clothes on. Whew! That was sooo enlightening! I am so happy to have heard all these golden tips from our contributors because I myself need so much hand-holding when it comes to budgeting for my collection. Thanks so so much again to our generous friends who shared their thoughts on this very important yet less discussed matter. -- I cannot thank you enough for the words of wisdom! 3. Thank you, Internet. I totally agree with Vana about how this tech changed the way I collect. When I was a kid, I was limited to what I can buy from the department store, or the gifts my relatives gifted me. But, I have to also remind myself always that although it brought in so many possibilities, I should always be careful and ask myself Robert's questions before I click the buy button. 4. I love what jSarie said about budgeting not only the funds, but the time to spend with your precious collection, and the space to securely place them. Words of Doll Collecting Wisdom, there! 5. I agree with most of our contributors about focus. I have narrowed down my collection to just 12in or sixth scale and this has helped me curtail my spending on dolls, as well as fashion and accessories as most girls can share. 6. So thankful of Anika to remind me to, "Be yourself and let your collection show who you are." I once get easily seduced by what's the latest, but now I can finally see a commonality in my collection. I love girls with less makeup and voluminous hair (perfect for trimming if necessary). I enjoy playing articulated bodies and face molds that aren't bitchy. I would love them in muscular bodies (the reason I'm an MTM fan) and smaller boobies. How about you, guys? Which ideas are new and interesting to you, something worth trying? Please comment below and let's discuss! Great post! Wow, I really wish I had read this when I started seriously collecting dolls. I've spent (and wasted) so much money over the last few years because of not budgeting and impulse buying. I will say that I have gotten better and I've resisted impulsing buying two dolls in the last month, but I obviously have a long way to go. Wow. This turned out really good. This is really helpful to old new collectors alike. Oh, Melan... this post wouldn't be possible with the generosity from you guys... Thanks to you.. Thanks again Shasha for allowing me to share my input on the subject of budgeting for dolls, which remains a WIP for me. I enjoyed reading this, Shasha. Thanks for compiling the answers and advice from the contributors. One of my favorite words of wisdom was Eli's suggestion to have a vision for what I want my collection to become. I think that advice will help me really focus my spending. I spent a small fortune in years one and two of collecting, so this year I'm meticulously tracking every penny I spend on doll-related purchases. I hope to gain a realistic view of what I spend in a year's time. I enjoyed hearing from several others to see what they've learned through this common love of ours.